Deciding on which career path to enter may seem daunting, but it is also an exciting new beginning that you should embrace. Remember that the careers path you choose could account for the majority of your working life – investing your time and effort in making the right careers choice here will pay dividends later on! First, set aside some time to focus on choosing a career, when you are alone and stress free, perhaps at the library or your home. If you’re short of inspiration, a good way to start is to make a list of your skills and interests (what are you good at? what do you enjoy? what is important to you? what makes you happy?) – writing ideas down and comparing notes with friends and family can often lead to career paths that you may never have considered. Do these outweigh the bad points? What else is important to you (e.g. friends, family, hobbies)? Will your new career infringe upon these? Is there opportunity for personal development and career progression? What will the job give me aside from financial reward? Essentially, the more research you do, the better informed your careers decision will be! 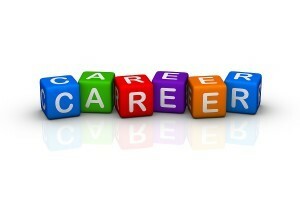 Once you have narrowed your career options down, try getting some work experience to gain some first-hand insight. A single day working within an organisation can be far more insightful than anything you will find in books or online (and you’ll meet some great contacts too). Persistence, research, and some more persistence! ‘How do I apply?’ ‘What are they looking for?’ ‘How do I get them interested in me? The key to success is perseverance and learning as much as possible about the company or industry you are targeting – not only will this approach help get you noticed, it will help you get hired – companies actively look for people who have ambition and want to learn. A. So where do I start? This will of course largely depend on the job you are targeting. If the employer is advertising a position than simply reply with your CV and cover letter. If there is no contact address, always begin with a phone call (this gives you a chance to gain an edge on other applicants; find out exactly what the company are looking for, who you should address your application to, what you might do to improve your chances). In some cases, you may be required to complete an online application. This is relatively self-explanatory so we won’t dwell on it too much but a good exercise is to use your CV to ensure you cram as much as possible into the form and always support your answers with evidence (‘I am a team player because…’, ‘My role as cashier demonstrates that…’). Other companies are much less formal. Often restaurants and bars will require you to drop by in person for an informal chat (these companies are much more concerned with finding someone who is presentable, friendly and outgoing rather than finding out where they went to school). When meeting an employer, make sure that you are presentable and have all of the information they may ask of you, ‘do you have any relevant training?‘, ‘ When are you available? Do you have any holidays booked in the next 6 months?’. It’s a good idea to take a couple of copies of your CV along to the meeting. In cases where there is no vacancy advertised you will need to cold call. This may seem daunting at first but just bear in mind that the only people you’ll actually have to meet in person are the ones that want to meet you (rejection is just part of the process, smile and move on). Follow up all job applications with a phone call or email (if nothing else, it shows that you care and gives you a chance to gain valuable feedback, good or bad!). 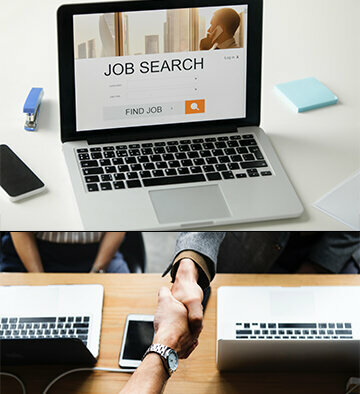 Get a head start and Job Search now! 3. Lack of career progression? According to research by the Chartered Management Institute (CMI), significant proportions of employees are dissatisfied by the pace of their career development and feel that it is not where they would like it to be. In a survey of 2,000 employees conducted last year, the CMI found that 42 percent of respondents felt that their careers were stalling. The most common complaints were: being overlooked for promotion or not receiving pay increases. If your organisation has frozen promotional or sideward opportunities then you have two basic choices. You can accept the current situation and wait for an improvement, or else consider options externally. However, if colleagues are being promoted ahead of you it is a clear sign that opportunities exist but that you are not being considered for them. Why is this? Possibly it is because your line manager is unsupportive, but often the answer lies in an employee not having enough of the skills required for the targeted job. If you are looking for a move upwards or across then you need to take a look at your current skill-set and review what is missing that you need in order to progress. This could be a lack of qualifications, IT or language skills, or experience in key areas. A. How to identify what’s missing? If progression means promotion into a more senior role then your performance appraisals can help you to identify your development areas. If you are seeking a move into a different type of role then try to obtain a job description. Job descriptions are very useful in helping us to identify the qualifications, experience and competencies that are required. Information on internal positions may be available from HR or the company intranet, while information on external roles can be found on company websites and job boards. Full or abbreviated job descriptions are reasonably easy to find and this will help you to identify key areas. The good news is that there are plenty of resources available. Firstly, your employer may be willing to provide you with internal or external training opportunities. Find out what training is available – from the Internet, company intranet or from HR or training officers – and ask to be allowed to participate. If your employer is reluctant to give the time off you can always offer to make up the time or even use your holiday allowance. You may find that external training is your best option. Of course this often has a cost attached, but if the accompanying qualification will help you to progress in your career, it may be seriously worth taking on the cost, even if your employer is reluctant to fund it. Also look at informal training opportunities. Can you strengthen your experience by helping colleagues? People with knowledge in areas you are lacking can be a source of expertise that will benefit you if you are prepared to learn. Are there possibilities for participating in projects with other teams in the business or even outside the organisation? 1) What is your greatest need? 2) How can you address it? time and travel arrangements and doing any preparatory work. Deciding on a new career is a tricky decision to make and it’s important to distinguish why you are even considering making a switch before you begin your search… Is it something you feel you need to do because you need a new challenge? Are you bored at work? Do you need to change your work/life balance? Have you reached your ceiling at work and feel there is nowhere else for you to go in your current role? For some people the choice is obvious – a burning desire to accomplish something they have always wanted to do but for others maybe it’s just time to take a different path, but what path? It can be a hard and somewhat confusing choice, which may be marred by limitations you place on yourself and on your self-confidence. Most people’s reasons to change their job are purely for job satisfaction rather than economic reasons, but remember that either are valid reasons to undertake this challenge. Once you have made the decision to change your professional life, you need to ‘Think Big’ and base your choice on what you think you will enjoy and can grow within. Be bold and rule out no career or profession. While this may seem like a huge statement to make, with confidence, motivation and a desire to change, you will be surprised at what you can achieve. OK – some of these career choices may be a daydreams, but by allowing yourself to do this, you are not ruling anything out. Think back to childhood – what did you want to be? Are you envious of other people’s jobs that you think you would also like? Do you have a hobby, passion or skill that could be built upon? Without confidence in yourself and a motivation to change and succeed doing it, you are fighting a losing battle. Once you have narrowed down some new career choices, a good way to boost both these essential traits is to write down next to each new job choice what is holding you back to achieving it (be it economic, emotional or practical). Now write down what is motivating you to change your job and compare the two. Hopefully, the motivation list will be longer than the other list. Keep this document and once you have started to apply for new jobs in your chosen field, and you feel your confidence start to waver about if you have done the right thing or not, look at this and remind yourself what you are striving to achieve. One way to find out if a new career is for you is to undertake some voluntary work or work experience in the sector you choose before you take the plunge. Not only will this give you a taste of what the job may be like in reality, it will also impress prospective employers on your CV.